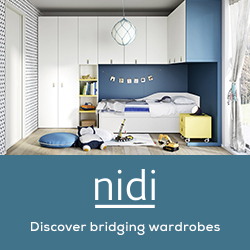 We are always wowed when someone creates a nursery or a kids room that is extra special. And today we are sharing one such nursery with you. 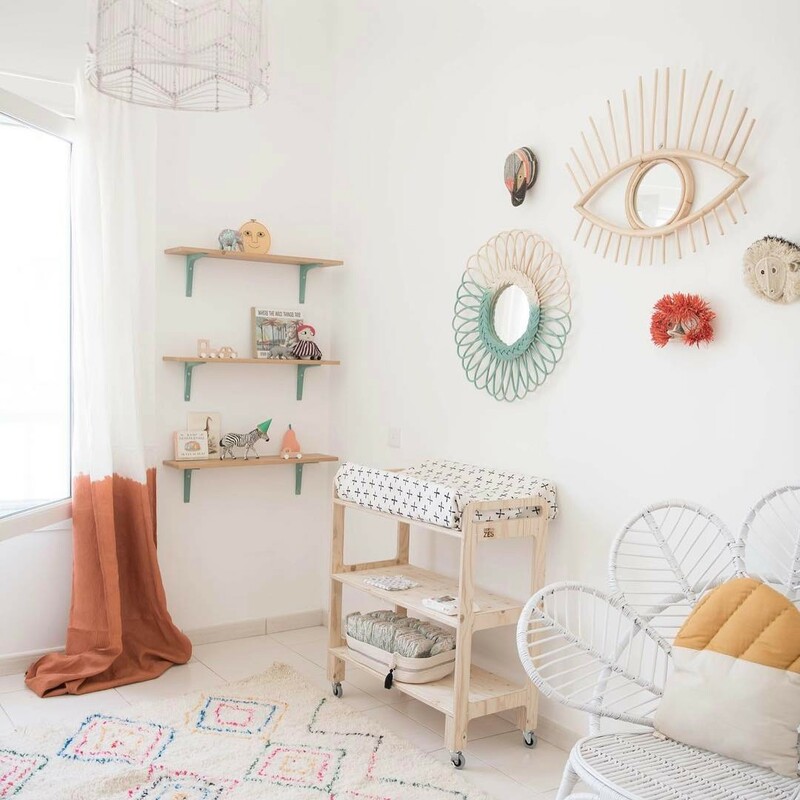 This nursery has been styled and designed by the incredibly talented Live Loud Girl together with her client White Moss Decor. 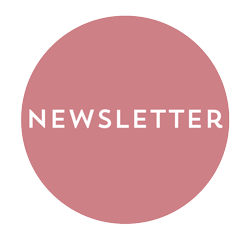 White Moss Decor works with artisans to create home decor in natural materials. The plan for this nursery was to combine the design talents of Live Loud Girl with some of the natural products from White Moss Decor. And together they have created a stunning space. 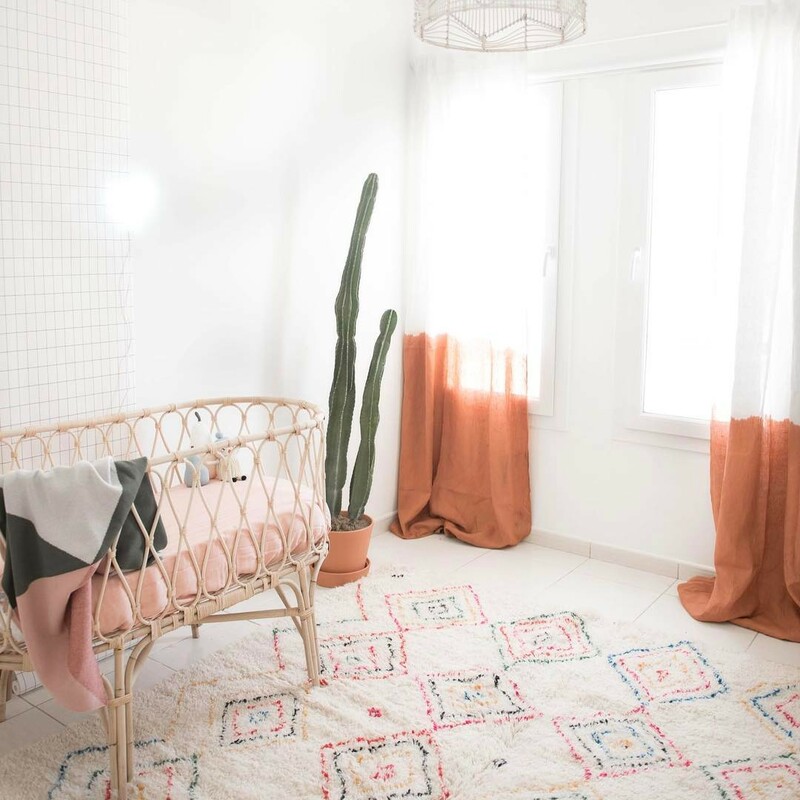 This nursery combines white with pops of soft colour like the mint green accessories and the orange/red dip-dyed curtains. In terms of style, there is simplicity combined with a bohemian chic vibe. We are loving the attention to detail where every piece has been thought about and chosen to create an overall look and feel. Like the eye mirror — how cool is that? And also the little woolly animal heads on the walls. 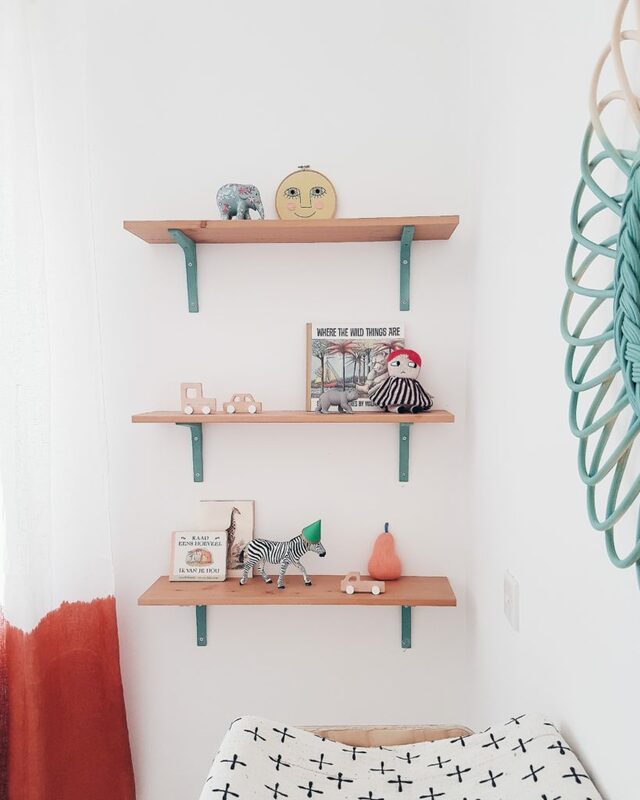 These kinds of unusual pieces add a fun and playful vibe, perfect for a baby nursery. 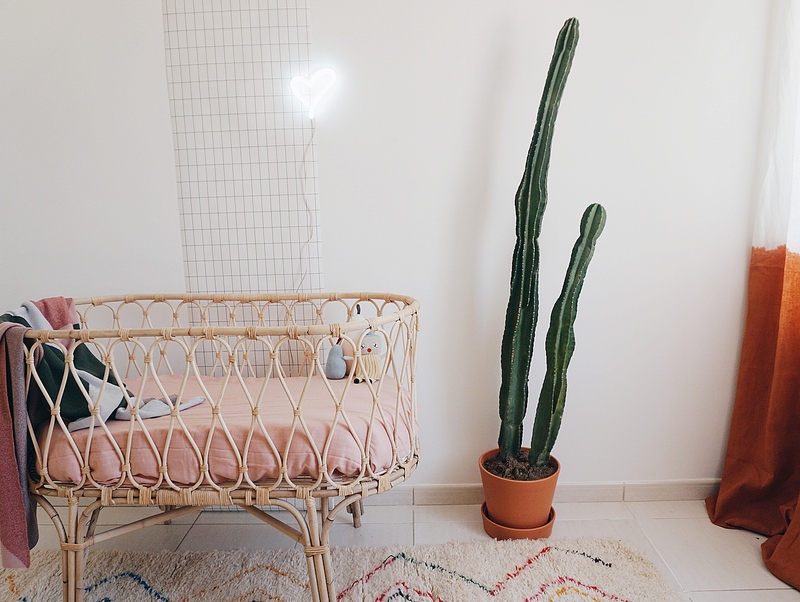 The beautiful rattan crib is from White Moss Decor and fits beautifully in this boho chic room. We’re also loving the over-sized cactus which looks like a sculpture. And the touch of graphic wallpaper with a heart shaped light behind the crib is subtle yet stylish. 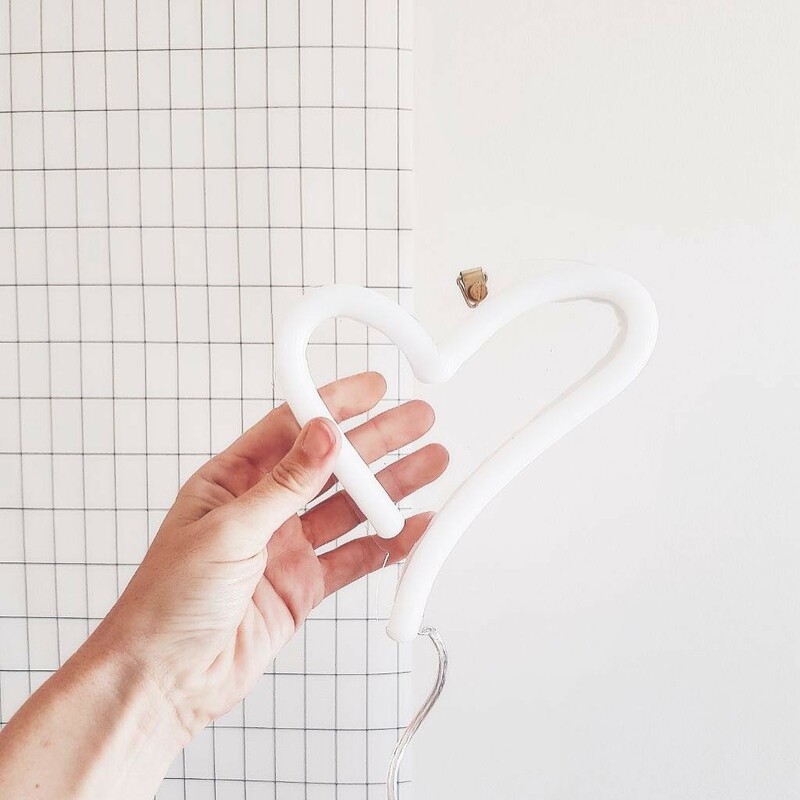 It’s little details like these that make this room so special. The simple rug adds to the boho chic vibe but also adds those little touches of colour to the room. We love how it’s been picked to complement the other colourful touches in the room. Every detail in this room has been thought through like the shelf brackets that have been painted mint green to match the mirror and also pick up on the green hues in the rug. 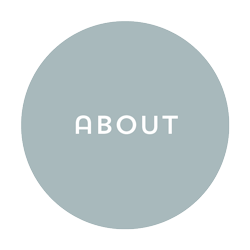 The result is a soft, calming and beautiful space for a new baby. 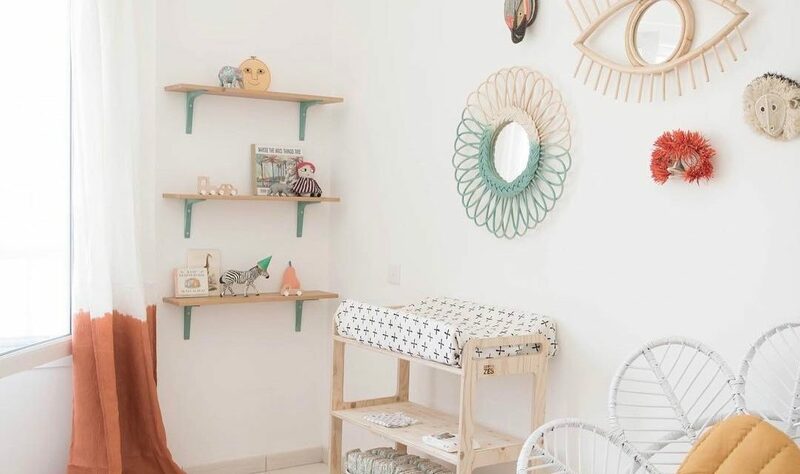 You can see lots more pictures of this room at Live Loud Girl and you can also find out where all these gorgeous furniture and decorations are from. Plus there are some simple DIY’s in this room (like the dip dyed curtains) that you can find out how to do. So do take a closer look.